As a parent, you know that choosing the right school or program for your child is one of the most important decisions you can make. This is especially true when he or she has learning differences, is gifted, or shows signs of emotional or behavioral problems. 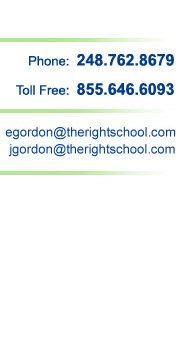 E. Gordon Associates (EGA) will help you locate the ideal school for the unique needs of your child.